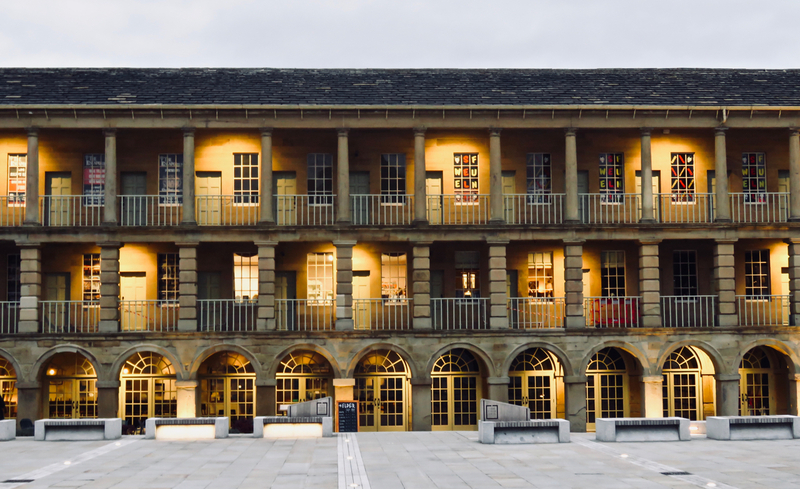 Halifax’s Piece Hall was built in 1779 and was originally a textile market. It reopened last year after a very expensive restoration project, and certainly is a very smart place now: at the same time it has lost its old ramshackle appeal. Maybe there’s no way of keeping both. It’s not an easy place to photograph from ground level without getting the perpendiculars askew, but I did my best here.